Grokker’s well-being programs have long excelled at attracting beginners with bite-sized, mobile-friendly video content. Grokker is expanding its employee well-being and engagement platform to include financial wellness with its new “7 Steps to Financial Wellness” program. 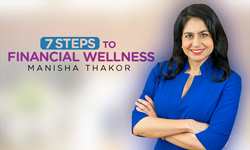 Designed by renowned financial analyst, planner and author, Manisha Thakor, the program empowers employees to better manage their money and reduce their financial stress via a series of informative, fun, easy-to-follow videos. Financial stress is a major concern for today’s employees. According to a 2017 PWC Employee Financial Wellness Survey, 53 percent of workers reported being stressed about their finances; 65 percent of millennials reported the same. Additionally, approximately one-third of employees report being distracted by personal financial issues while at work, with almost half of them spending three hours or more each week handling these matters during the work day. Grokker offers compelling wellness content focusing on exercise, mindfulness, nutrition, sleep and now, financial wellness. To learn more about Grokker and its new financial wellness program, visit http://www.grokker.com. Grokker takes the work out of workplace wellness with an easy-to-implement, holistic, and content-first employee engagement platform. With nearly 3,700 exercise, mindfulness, nutrition, financial well-being and sleep programs, more than 130 master experts, interactive challenges with cutting edge gamification and integrated incentives, and a supportive community to connect employees across locations, Grokker’s patented program delivers cost-effective results. Loved by users in 172 countries, Grokker was named to CNBC’s 2017 Upstart 25 list for successful startups. Grokker is available on your PC, mobile device, Apple Watch, and TV through Comcast, Amazon Prime, Amazon FireTV, Apple TV, Roku, Chromecast, and SKY. Learn more at http://www.grokker.com.